I am an introvert; accordingly, it is not intuitive for me to ask personal questions of people unless I am reporting a story, and it has been a long while since I have done that. But I have fallen into this rabbit hole called blogging; and well, now I need something to blog about. That means going out and doing more, talking, and, most of all, watching and listening more. Consequently, I have chosen to train myself to inquire more of others beyond commenting asking that generic “how’s it going?” question that rarely elicits a substantial response. Her hair grew down past her bum in just one year. Because it grows so quickly, she cuts it yearly and donates her hair to o ne of those places that makes wigs for children with cancer. Her family may soon disown her. In my practice conversation, I asked the woman—we’ll call her Amy—how medical school was going. Turns out, she just finished her first year but found it far too stressful to continue and dropped out. Unfortunately though, her parents have given her a mandate: Become a doctor or be disowned. Before settling on getting a bachelor’s degree in English I had a few (ahem) college majors: Marketing, criminal justice, psychology, sociology, journalism, and eventually English. Those were the official majors. I also “focused” on film, anthropology, and art history. The problem was I enjoyed nearly every elective I took. As a result, I delayed making a decision about my major and graduated with considerably more than the minimum number of credit hours. Even if a long list of other degrees have pingponged around Amy’s brilliant long-haired head, it it seems Amy has only two choices: Become a doctor and maintain a relationship with the parents that raised her and the cousins, uncles, and grandparents here and abroad whom she calls family… or not. Tough choices. While Amy’s action items are limited, she has an abundant of choices when it comes to attitude. She can select to fret, get angry, or to dwell in a positive state. Choosing joy should not be a tough choice but for some of us, joy does not seem like an option. Instead, we cherry pick and wind up with a basket of bitterness, unforgiveness, worry, condemnation, and so on. Upon recently making the difficult choice to change not only jobs but also industries, I a m now working with a new team. One person on my crew—let’s call him Ralph—is probably the happiest adult I have ever encountered. Being a grizzled, jaded former journalist, I at first thought something was wrong with Ralph. He is so incredibly gleeful that he bounces when he walks, often walking through the office on his very tiptoes. What I have learned, though, is Ralph just chooses to be happy. He is quite intelligent and knows what he likes and does not. Because Ralph has made the choice to enjoy life and because I made the choice to learn how to talk to people, I have made a new friend. Me: I am not much of a conversationalist; I am not good at talking to people I don’t know. Ralph: That is the most important thing in life! That’s how you learn! When people are being more negative than he prefers, Ralph plainly turns away from them, choosing not to participate. When Ralph finds a funny joke, photo, or video to share—even if the time may not seem appropriate to others—Ralph shares, because it makes him glad. As a result, he spreads that gladness. Now that is a choice worth making. © Leslie Green and Wildemere Publishing LLC . Unauthorized use and/or duplication of this material without express and written permission from this blog’s author and/or owner is strictly prohibited. Excerpts and links may be used, provided that full and clear credit is to Leslie Green and Wildemere Publishing LLC with appropriate and specific direction to the original content. When I was about 13 years old, I was at least 10 pounds shy of 100 and still several clicks away from my dream height of 5-feet. Around this time my parents, brother, and I attended our family reunion at a park where there were games, goo gobs of food and cousins galore in a variety of colors and sizes. I was the same age as a few of my cousins and, admittedly, those were my favorites. When we came together, we did it in grand fashion with big hugs and kisses and declarations of love along with promises not to stay away from each other so long. 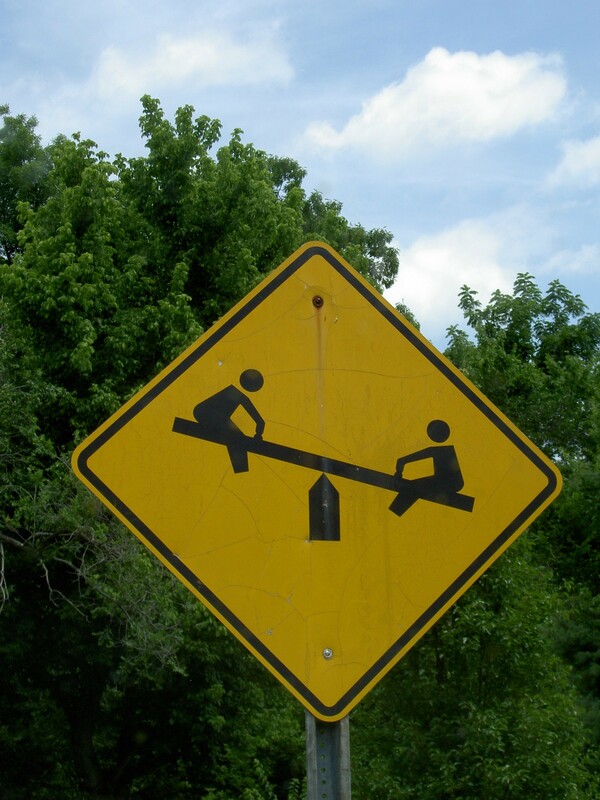 After a while, one such cousin suggested we get on the see-saw (or teeter-totter depending on your regional phraseology). Not thinking, I sat down; and then he sat down. Hard. I flipped up in the air and flew about 10 feet, landing eventually in a field away from the action. When I came to, he, along with everyone else, was standing over me. What happened? Life, and I let it. I began thinking about how often we let life happen to us and what that means after finishing “The Sense of an Ending,” for which author Julian Barnes won “The Man Booker Prize.” I am still deciding whether I enjoyed the book; the characters are mostly self-satisfied or seemingly uninspired with few likeable qualities. But days later I am still thinking about it. That must mean something. SPOILER ALERT (Stop here if you don’t want to know more): “The Sense of an Ending” is the story of Tony Webster; we start while he is a schoolboy and follow him to revelations in middle age. The mother of an ex-girlfriend in Tony’s youth wills him five hundred dollars and the diary of a friend who committed suicide. As Tony makes various attempts to acquire the book, he begins reflecting on his past; but his past is not how he remembers it. Tony, we discover, or surmise, may not be the innocent party: His history, subconsciously it seems, is revisionist history. What does it mean to let life happen to you? Does it mean there is no winning or losing? No choices or challenges? How many of us really control or direct our lives? Some talk of creating a five-year plan. Do you know five people with a five-year plan? What about a two-year plan? On screen, the morally challenged Francis Underwood, the star manipulator in Netflix’s “House of Cards,” goes after life with verbal machine guns firing off underhanded deeds. He makes his future in full Hitler fashion. For him, getting caught unaware is an inexcusable flaw and his wife, Claire, is there to make sure it does not happen, at least not more than once. So Frank plans and follows his personal plotline until he accomplishes his reprehensible goals. That dedication is a good thing, right? Short answer: Depends on the goals. Personally, I found jealous Othello to be boor, blowing smoke in the form of long soliloquies when really he was just a gullible fool. Yet, the eponymous drama, in my estimation, is brilliant and arouses questions, like did the famous Moor let life happen to him? Was he unwittingly duped into murdering his wife? Or did he consciously choose to believe Iago? As a child, my dad signed me up for baseball, mom for piano. I ran track until I let my grades fall. I got married, divorced and made other foolish decisions. Eventually I got a B.A. in English and wrote my heart out. In need of employment after graduation, I took a job the college career office found me, working at a national retailer selling hundred-dollar sneakers to female gangbangers with butterfly tattoos. Eventually, I took a better paying job and then another, until I discovered I was a journalist. It was exciting, challenging and educational, an experience I will never regret but did not plan it. Now, at least according to other people’s timetables, I am middle aged; I am also unmarried, childless, and have not published the great American novel. I go to church regularly and read my bible daily. Did life happen to me? Maybe. Or was the very act of letting things happen a choice? Have I, by not sticking to my original plan of being a great American author, ruined my chances of seeing my dreams come true? Possibly. Do I regret it? Sometimes. Life may have happened to me but I have more material for my book than some who have followed the linear way, with all its smooth contours and shiny doodads. Still, I have been taking more chances lately, making purposeful changes, and doing things because they feel right and not just because I have a great capacity for survival.